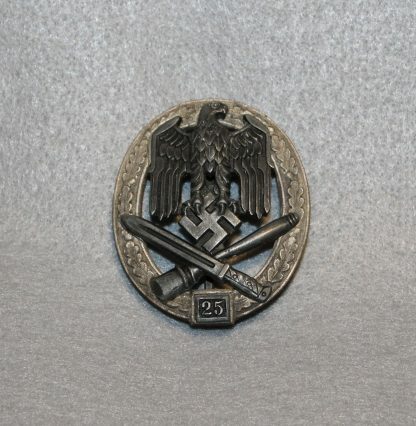 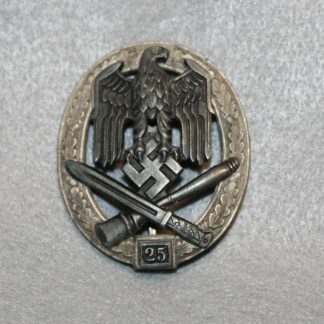 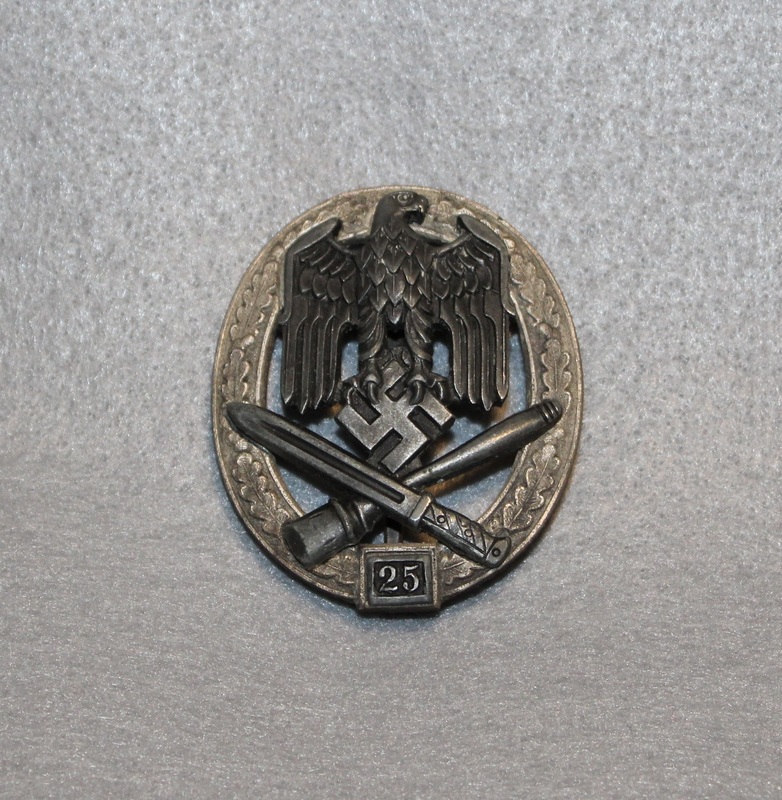 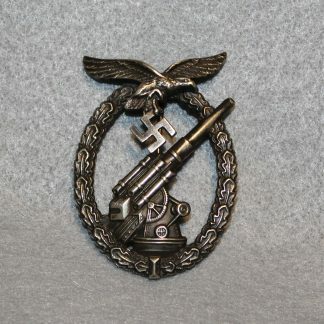 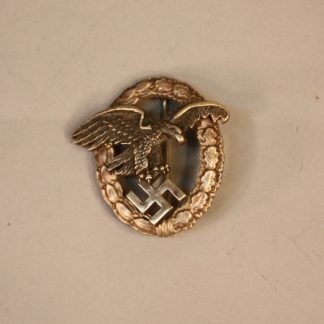 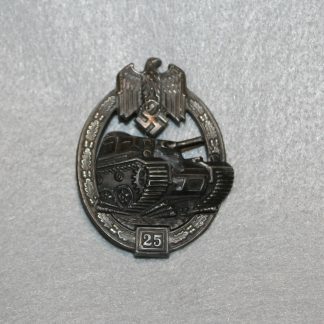 Infantry Assault Badge 25 Engagements – Military Collectibles, Inc. 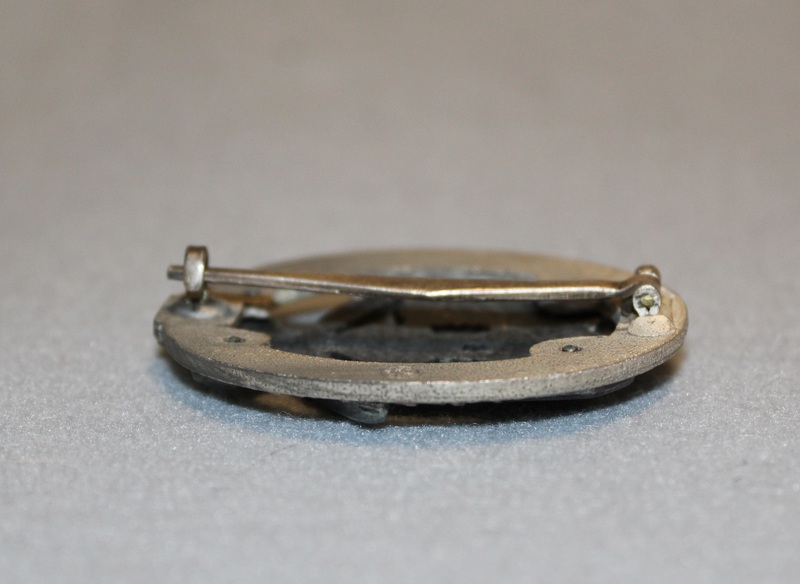 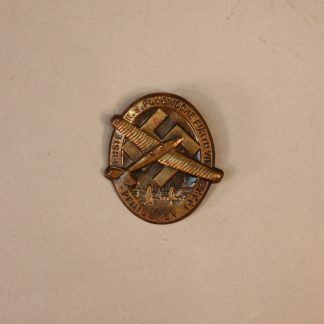 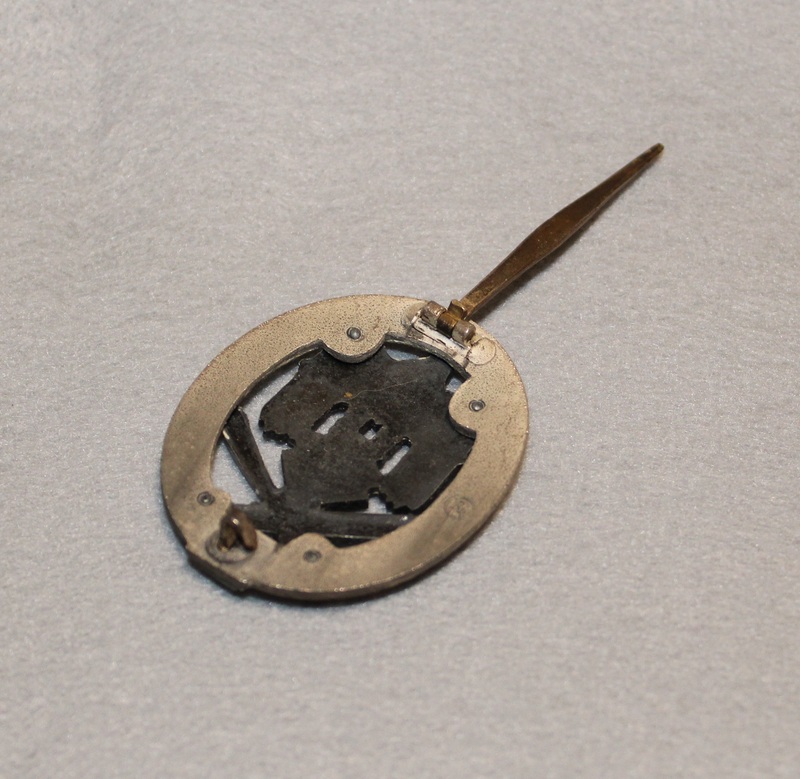 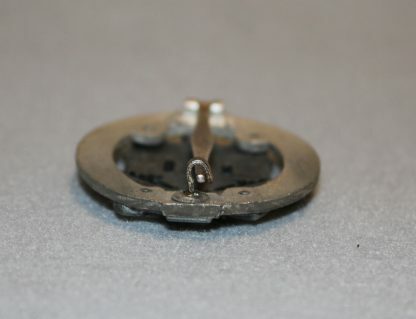 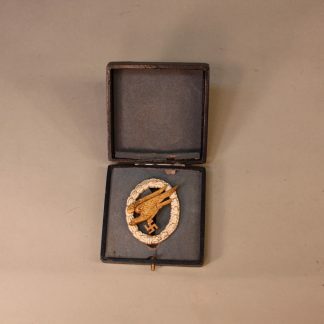 This badge has exceptional finish and is clearly stamped with the maker mark of RK. Has beautiful burnishing to the eagle and to the bayonet and stick grenade. The pin is solid with no play in it at all. 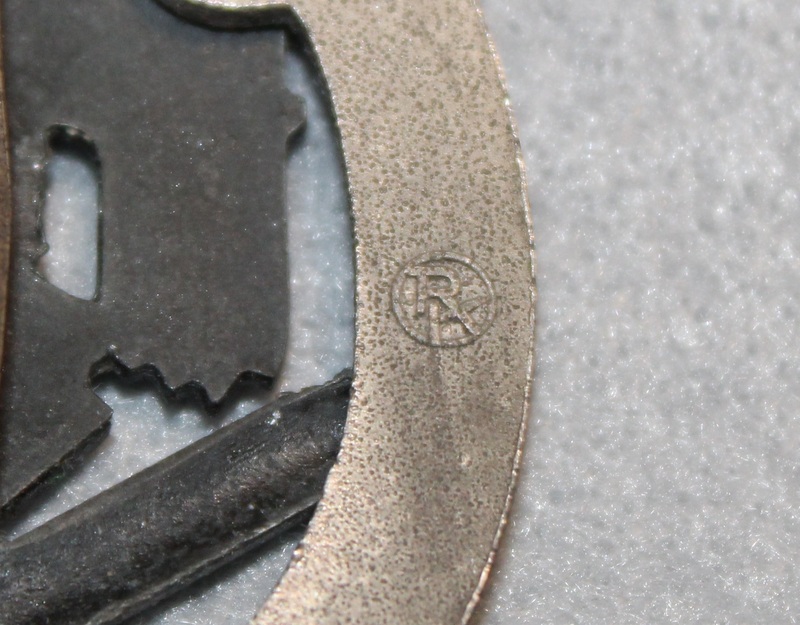 All rivets are tight and the wreath has the stippling on the reverse which is inherent on the original pieces.